Hey enforcer, I just had a really cool idea for your website since I'm somewhat inspired with all this toy talk. Why dont you dedicate a section on the ben reilly tribute to fan collections? That way people can share photos of what peices they own and maybe write a little essay about the items they treasure the most. Sure! Sorry, my boss took the work camera on vacation, when he comes back I'll photograph the figure. I think thats a cool idea about the collections. That your name has become a forum title? ha, bit freaky that its a ben reilly tribute site aswell!! In other news I found another undocumented Ben appearance. Go to the Tribute News to see. yeah thats a nice looking figure. probably the nicest manufactured ben reilly figure ever made. too bad none of the 5 inch figures look that good. hell its too bad that even the 5" superposeable figure isnt just a scaled down copy of this figure. The spider symbol on the 5" figure is horrendous looking and it doesnt even come with any web shooters. Found a pic of the figure I was talking about. I thought that this just might be a little relevent with the impending release of the rest of the clone saga TPBS set to be released within the comig year. So when that issue is finally reprinted, looks like spidey wont be facing off against godzilla the second time around. I think they already have an alternate cover where it has been changed to look less like Godzilla. I hope it won't be all blacked out, but it's only one page of a trade so... I can live with it. Yeah that is a really shoddy figure. The 10 inch one was much better done, especially the spider and the eyes... they even painted on the Web shooters. I'll get pics, I promise. Ah, the ol' lenticular covers. Those offered some creative possibilities beyond the standard variants. Wizard made some nice uses of them on their special reprints. I actually got the Sensational card without the comic from Marvel back in 1999 when I was part of a group to help redesign their website. 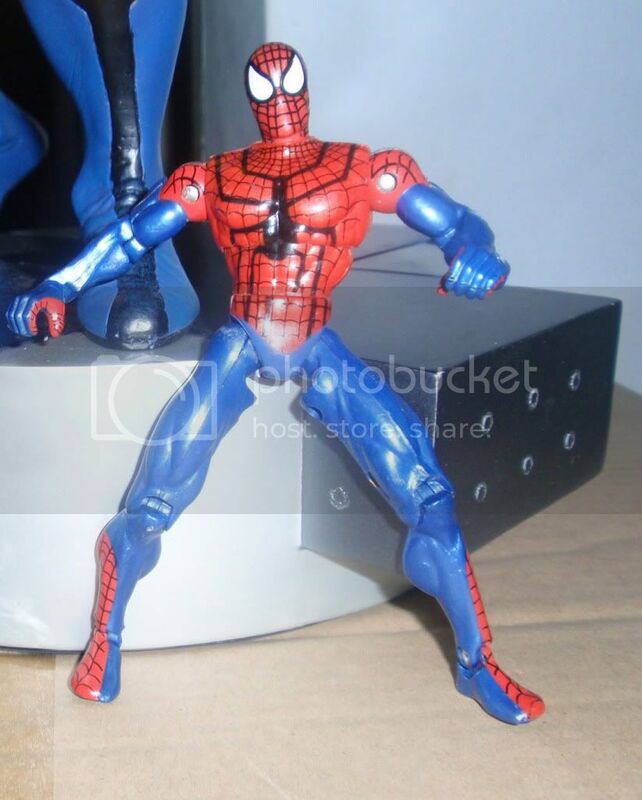 No tis not this is a the prototype for a new scarlet spider figure for the 3 3/4" Marvel Universe line. And this looks like a legitimate scarlet spider figure this time. its not just ben reilly's spider-man costume. 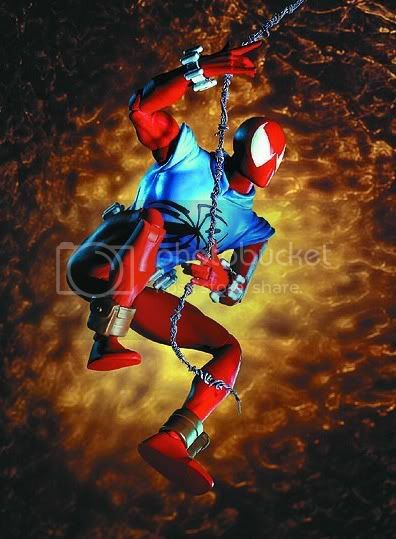 No it's not this is a the prototype for a new scarlet spider figure for the 3 3/4" Marvel Universe line. 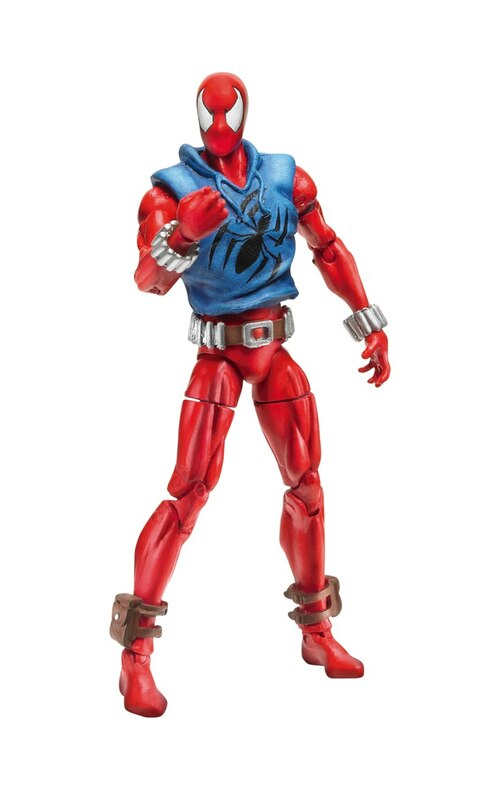 And this looks like a legitimate scarlet spider figure this time. its not just ben reilly's spider-man costume. we got a figure like that a few years ago! ?